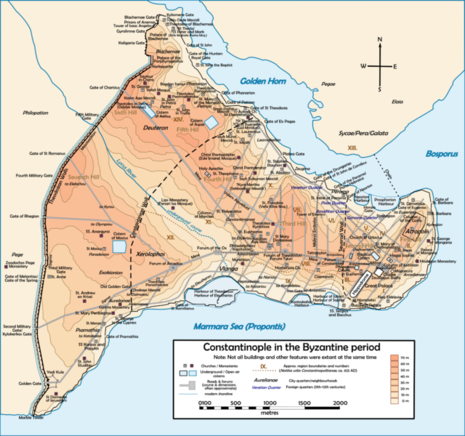 The Siege of Constantinople (1203) was a Crusader siege of the capital of the Byzantine Empire. 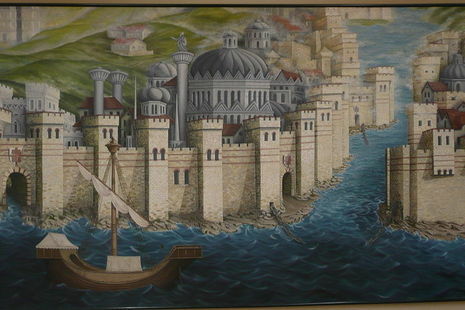 To take the city by force, the Crusaders first needed to cross the Bosphorus. 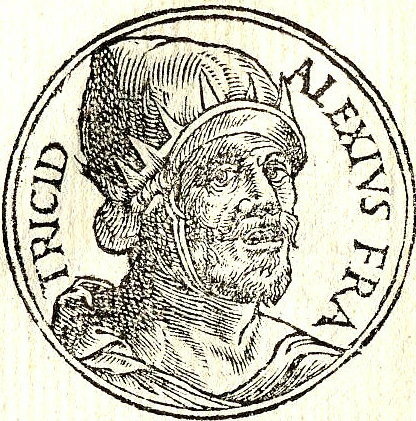 About 200 ships, horse transports and galleys would undertake to deliver the crusading army across the narrow strait, where Alexius III had lined up the Byzantine army in battle formation along the shore, north of the suburb of Galata. The Crusaders' knights charged straight out of the horse transports, and the Byzantine army fled south. The Crusaders followed south, and attacked the Tower of Galata, which held one end of the chain that blocked access to the Golden Horn. As they laid siege to the Tower, the Greeks counterattacked with some initial success. However, when the Crusaders rallied and the Greeks retreated to the Tower, the Crusaders were able to follow the soldiers through the Gate, and the Tower surrendered. 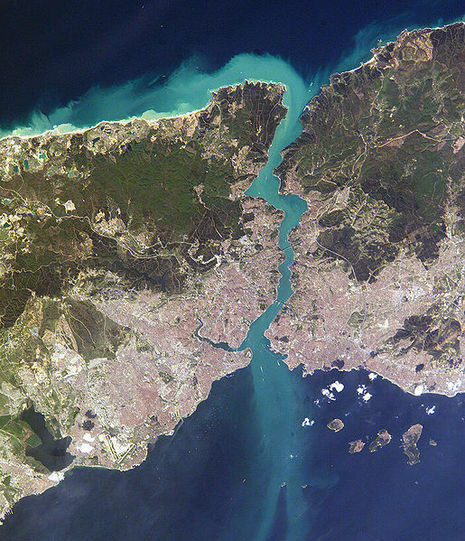 The Golden Horn now lay open to the Crusaders, and the Venetian fleet entered.